When planting on the south side of a house, you must be sure the plants you choose are suited to that much sun exposure. Plants with full day sun exposure likely need frequent watering to keep them hydrated through the heat of the summer. Setting a 2-inch layer of mulch on top of the flower bed's soil is an effective way to help the soil retain its moisture for longer periods of time. The Yucca plant (Yucca gloriosa) is commonly referred to as the Spanish Daggar. It is an evergreen shrub that reaches 6 to 8 feet in height and 4 to 8 feet in width, but regular pruning reduces its size. It has grayish-green foliage and is considered a slow growing shrub. It grows best in planting zones 6 to 11 and can be planted any time of the year in these zones. The yucca grows in both alkaline and acidic soil, but prefers a well-draining soil like sand or loam. Plant the yucca in partial sun or partial shade. The sunflower, scientific name Helianthus annuss, was originally grown by the North American Indians, including the Mescalero and Chiricahua Apache. 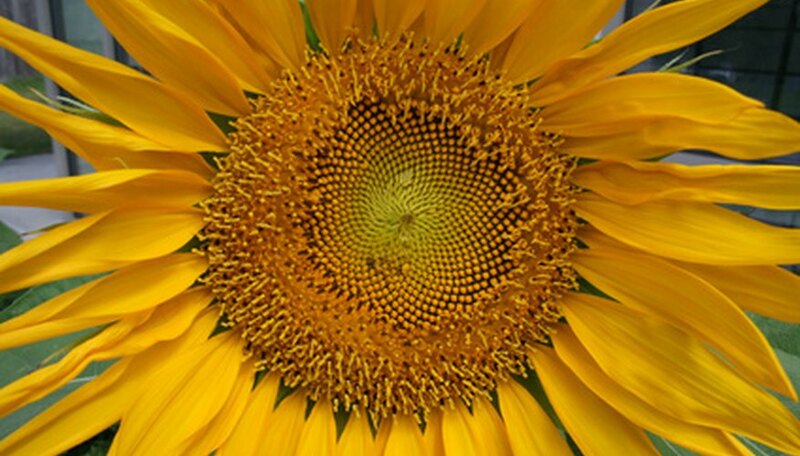 Sunflowers need full sun exposure, and their giant heads track the sun as it moves across the sky. To plant sunflowers, loosen the soil with a rototiller to a depth of 6 inches. Dig shallow holes approximately 1 inch in depth, spaced 3 to 6 inches apart and plant the seeds. Once the young plants emerge, they should be thinned out to avoid over-crowding the large plants when they reach maturity. Sunflowers attract a multitude of wildlife, including birds and squirrels, who come to feast on the flower's tasty seeds. To protect the seeds from being eaten, cover the sunflower's head with a light netting once the seeds begin to develop. Zinnias, scientific name Zinnia spp., are bright-blooming annuals that come in a multitude of colors. They reach a height of 6 inches to 3 feet, depending on the variety and should be spaced 8 to 12 inches apart when planted. Zinnias thrive in full sun exposure, well-draining soils, and all planting zones. Plant zinnias after the risk of frost has passed and deadhead blooms as soon as they expire to encourage repeat blooming. Dwarf varieties of the zinnia include Dasher, Lollipop, Peter Pan and Thumbelina. For taller zinnias try the Ruffles or Splendor variety.